At the January 22nd meeting of the Greene County Supervisors the final piece of the process for the Denstock, LLC/Frank & Pearl Eways apartment complex was completed. 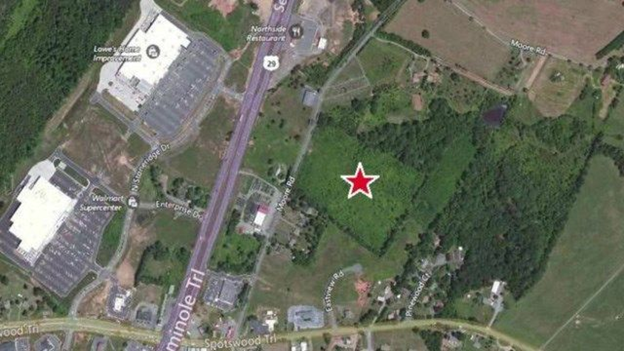 A Special Use Permit (SUP) was approved to raise the density for the 212 apartments planned for the development behind the CVS in Ruckersville. The real selling point of the project was not the addition of quality housing in the Ruckersville area or the minimal number of students to be added to the crowded schools. The tipping point for several supervisors seemed to be the commitment by the developer to proffer a road from Moore Road to the Route 29 intersection. An existing traffic signal already controls traffic flowing from Lowes shopping center on the west side of US29. 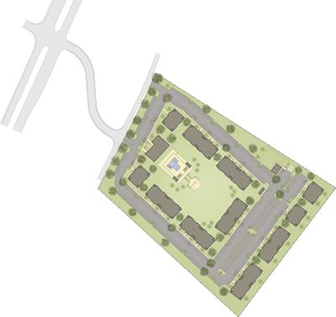 The proffered roadway will provide a direct access to the apartment development but, in addition, it actually creates two corners on the east side of Route 29 that will be attractive for commercial development just North of the intersection with US 33. Perhaps with a touch of irony, the developer desires the connector roadway even more – if that is possible – than Greene County does. Denise LaCour of Denstock stated at all four of the Planning Commission and Board of Supervisors meetings that to be successful the development needs the new connecting road and they do not want their tenants to use Moore Road. LaCour presented a fiscal analysis to the supervisors indicating a positive County tax revenue of over $250,000 per year – primarily driven by the low number of students they expect in their development. The applicant used evidence from Greene County’s Terrace Greene apartment complex’s low student population and the even lower student population that Denstock has experienced in Charlottesville and Albemarle County. LaCour estimates the 212 unit apartment complex will generate 30 K-12 students. The other issue that was “sweetened” from the prior meetings was the timing of the construction of the connecting road. At the Planning Commission, Denstock agreed that the road would be completed before the Certificate of Occupancy of the sixth building (of 10) would be issued. Finally, the development is projected to pay $2.4 million for water and sewer connection fees. Supervisor Michelle Flynn (Ruckersville) asked whether the proposed swimming pool was Americans with Disability Act (ADA) compliant and LaCour assured her that it was. In fact, she explained that all first floor units are ADA compliant – they have bars in the showers, the counters are lower for wheel chair accessibility, the doorways are wider to allow wheel chair accessibility and the showers are “roll in” level to accommodate a wheel chair. All of the supervisors spoke in favor of the project and complimented the developer in their presentation and the product they plan on building. The Supervisors unanimously approved the SUP.